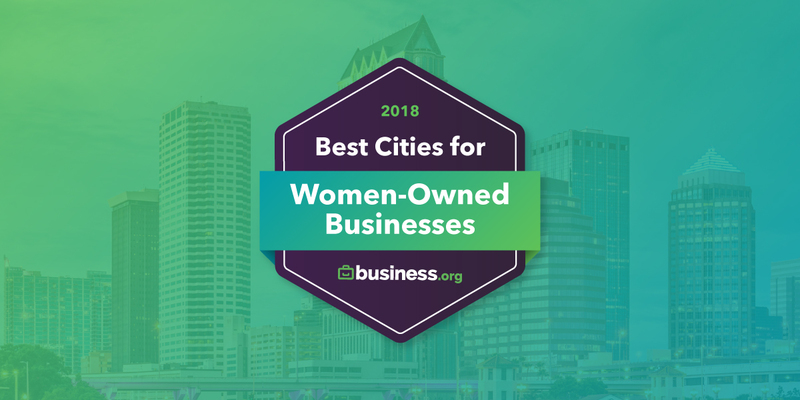 America is home to more than 11.6 million women-owned businesses.1 From employment rates to equal pay, see which American cities rank the best for women entrepreneurs. At Business.org, we’re all about learning what it takes to start and run successful businesses. 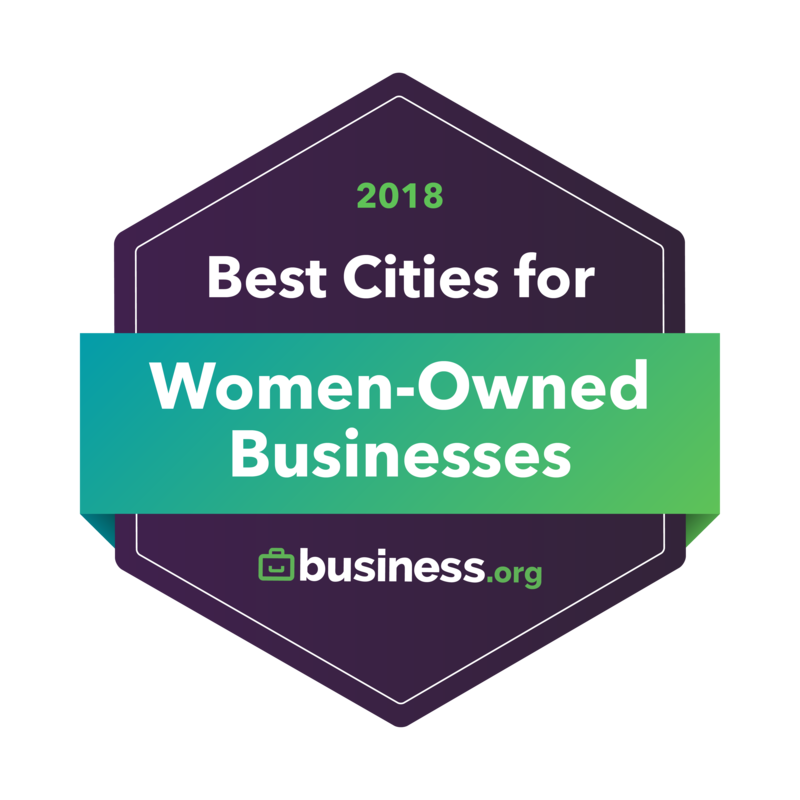 And with 39% of all US businesses owned by women,2 we wanted to learn more about the factors that may help women entrepreneurs be more successful. It may be obvious that the tech-driven landscape of Silicon Valley offers some of the greatest opportunity for women business owners. But it may surprise you to see exactly which metropolitan areas—both in Silicon Valley and beyond—offer the best mix of factors for women looking to launch their own businesses. These are this year’s best US areas for women business owners. Our research turned up several interesting outcomes. For example, some states contain multiple metro areas with widely different results. Tennessee is on both ends of the spectrum, having one metro area (Nashville-Davidson-Murfreesboro-Franklin) ranking in the top 20 overall and another (Memphis) in the bottom 10. This Tennessee divide may only serve to fuel a long-standing rivalry between the two Volunteer State regions. Florida ranks on both the best and the worst lists for the number of start-ups. The Miami and Palm Bay areas sit only two and a half hours away from each other but are on the opposite sides of the start-up creation spectrum. 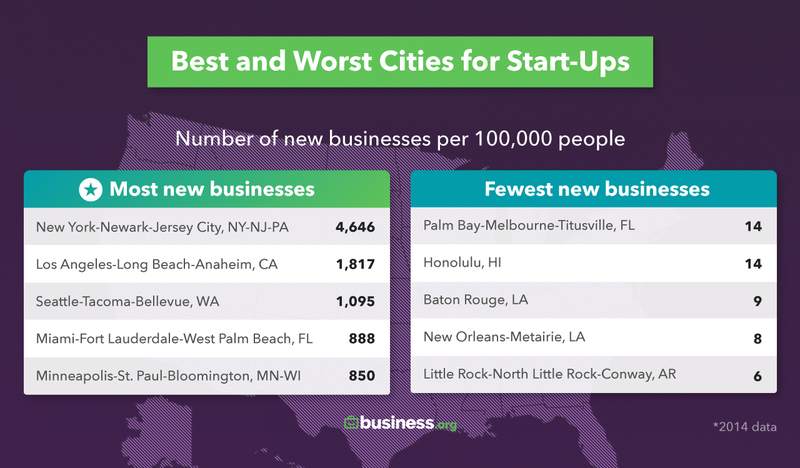 The worst places for start-ups all reside in eastern states, except for Hawaii, which is one of the most expensive states to live in. 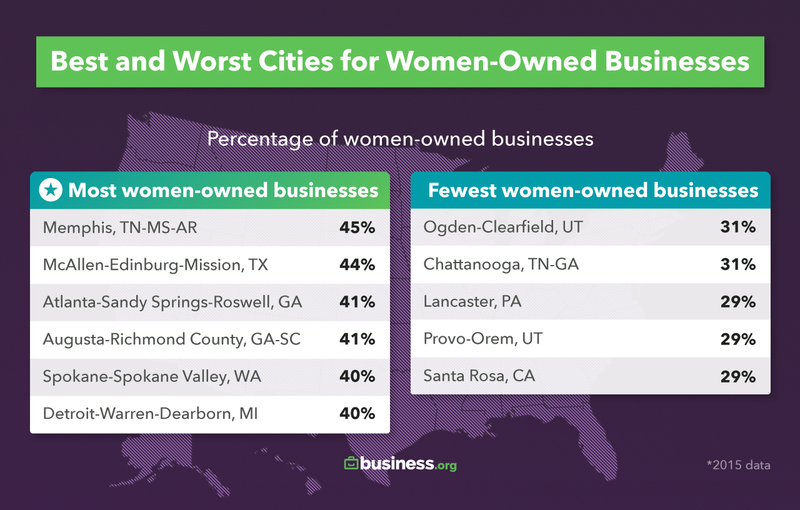 Here’s another standout result: out of the top five worst places for women-owned businesses, Utah showed up twice, with Ogden-Clearfield and Provo-Orem home to the fewest women entrepreneurs in the country. Utah’s low rate for women-owned businesses may be a result of the state’s stay-at-home-mom tradition. Our analysis shows that in the 107 metropolitan areas we studied, about 35% of businesses are women-owned. But some cities far exceed that rate—like Memphis, which tops the average by 10 percentage points. 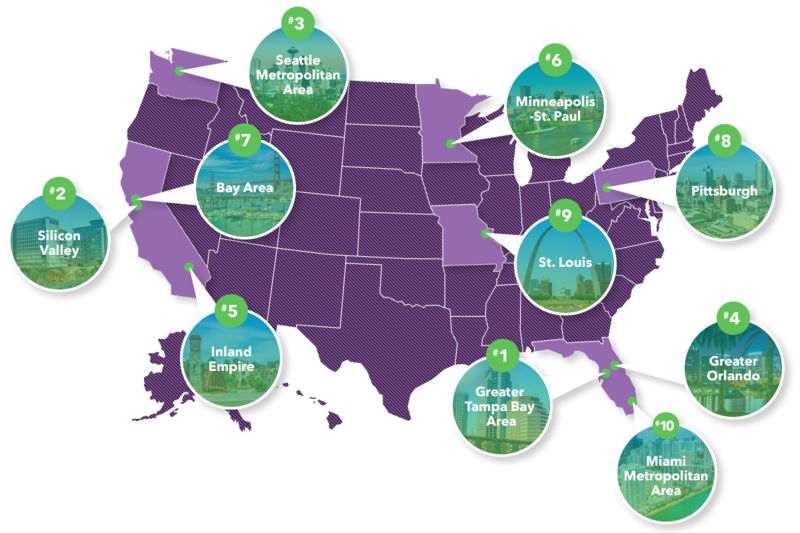 Other cities are well below the national average. Santa Rosa, California; Lancaster, Pennsylvania; and the Provo-Orem area in Utah each has a rate of 29%. On average, Americans in our reviewed metro areas created about 225 businesses per 100,000 people each month, or a percentage of about 0.2%. New York, New Jersey, Pennsylvania, California, Washington, Florida, and Minnesota are home to the most entrepreneurial places. The least start-up-friendly metro areas are in Florida, Hawaii, Louisiana, and Arkansas. Note that this factor includes both men and women start-up creators. It’s no secret that women tend to earn less than men in the United States. 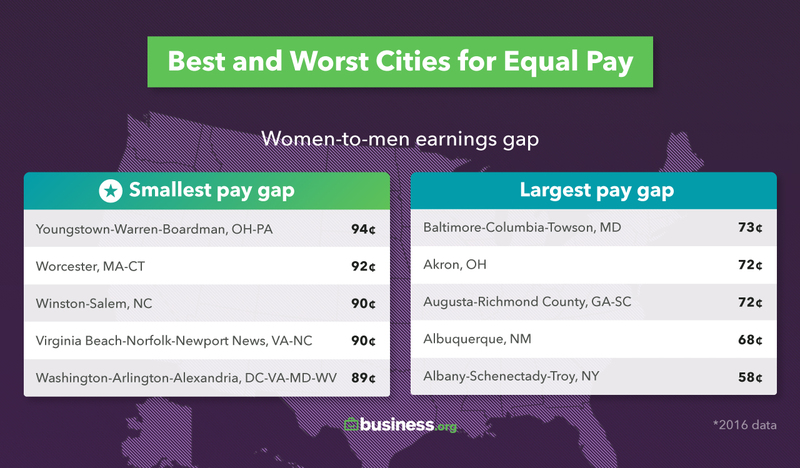 Taking home less pay than their male peers may spur some women to start their own businesses, but it’s interesting to see which cities landed in the top and bottom for the pay gap. 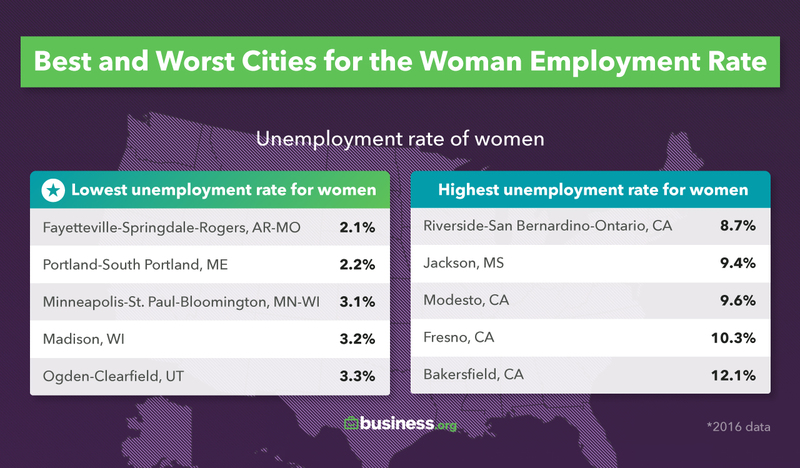 Nearly all of the metro areas with the highest number of unemployed women are in Central California, which is one of the poorest regions in the country. The lowest woman unemployment rates span the nation, from Arkansas to Utah.